Both publications acquired documents distributed to Authorized Service Providers detailing the need to use diagnostic software, known as the AST 2 System Configuration suite, after repairs on any product with Apple’s T2 custom chip. Failure to run the software suite will result in the repaired unit ceasing to function. Technically, not all repairs require the software suite (you can still replace some outer elements of the devices, like the bottom case on the MacBook Pro or the back panel on the iMac Pro), but the majority, particularly any that might involve aftermarket upgrades, do, according to Motherboard. For the 2018 MacBook Pro, replacing or repairing the display assembly, logic board, Touch ID board, or the top of the case that includes the keyboard and touchpad, reportedly requires running the software suite. As both the RAM and SSD (the two components typically upgraded after purchase) are soldered to the logic board, this would further complicate already difficult post-purchase upgrades. 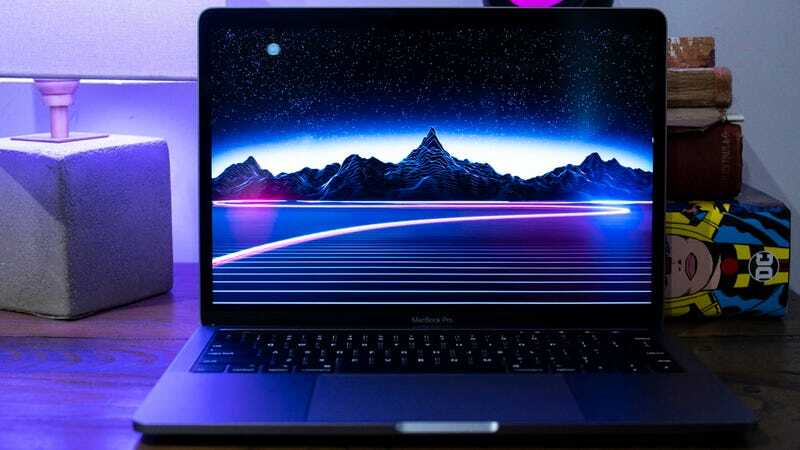 Requiring software available only to Apple employees or those who have paid to be licensed by Apple in order to perform repairs on the 2018 MacBook Pro or iMac Pro is anti-consumer. As Motherboard notes, this is similar to the requirements John Deere has made for the repair of any of its more recent tractors. While Apple ensures that it and its Service Care Providers charge the same fee for repairs, oftentimes older products can be taken to unlicensed repair shops for repairs at a fraction of the price. For people who don’t upgrade often, this is important! Apple may have a typically excellent customer support apparatus, but it doesn’t maintain parts for every product in its line up. This move means you can’t get your buddy with a bunch of old iMac Pro parts to repair your iMac Pro 10 years down the line. Instead, you would have to hope that either Apple or its Service Care Providers still have those parts. But as irritating as this is for right-to-repair activists, tinkerers, and 2018 MacBook Pro and iMac Pro owners looking to save a buck years down the line, it’s also not in any way surprising. Apple has already made both products very difficult to repair or upgrade (any time you need to be handy with a soldering iron to upgrade your RAM, it’s a problem). And Apple’s security chips have made repairs complex in the past. For example, when repairing an iPhone with Touch ID, the phone’s Touch ID module has to be carefully maintained in the repair process or the phone is bricked. A lot of small phone-repair companies that made their living replacing broken glass on iPhones learned about that issue the hard way. Yet these anti-consumer repair issues are also, kind of, due to the demands of consumers as well. We demand thinner and better-engineered devices—but you can’t get a super thin laptop without precisely engineering everything inside. That makes it hard to repair! We also demand our devices be more secure, but security means mechanisms in place that brick the device in the event bad actors attempt to exploit them. Ideally, there is some kind of middle ground: thin and well-designed devices that you can upgrade without a degree in computer science, and secure devices that you can repair without extensive knowledge of cybersecurity. But currently, that isn’t the case.